Anyway, as I took my walk, I looked down and there was this little patch of clovers. I wasn't searching for it, but there it was...a four leaf clover. 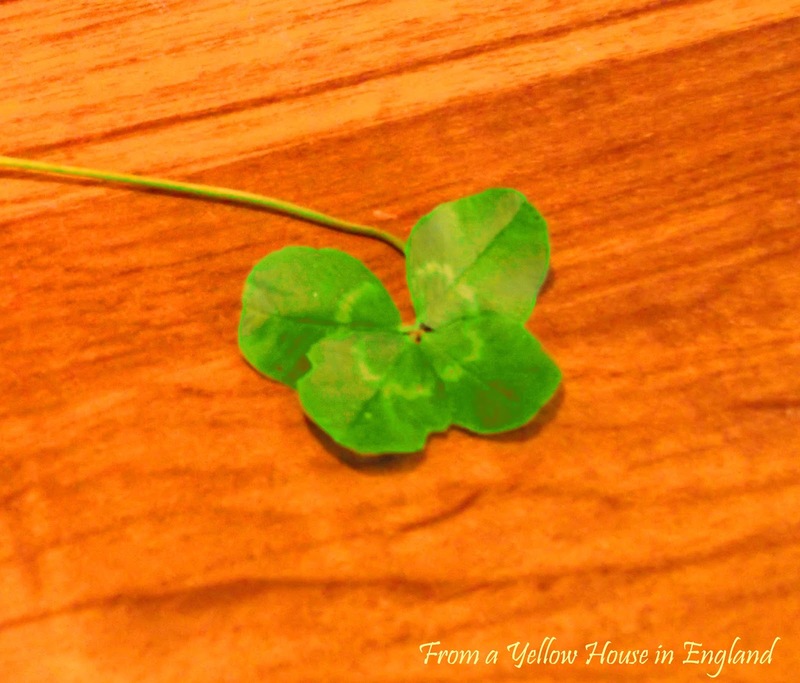 When I was a little kid, I used to love to search for four leaf clovers, but I hardly ever found any. I guess that I was looking too hard. When I found this one the other day, a lesson crossed my mind. I was reminded that sometimes you just have to let go and that is when the doors will open. I know that sometimes I'm guilty of worrying about things and making myself go crazy, but often when I just let go, things work out even better than I could ever imagine. Interesting, I spent many years without seeing a clover truth. Recently my daughter found one example in potted plant from a neighbor. I hope that both she and days you have a lot of luck and happiness.